For dedicated athletes, it’s all about gaining the edge. In training. In competition. And when injuries do happen, the more optimal and efficient the injury rehabilitation program, the sooner athletes can return to the arena. Fortunately, modern-day physical therapy is catching up with the increasing demands of modern athletes. 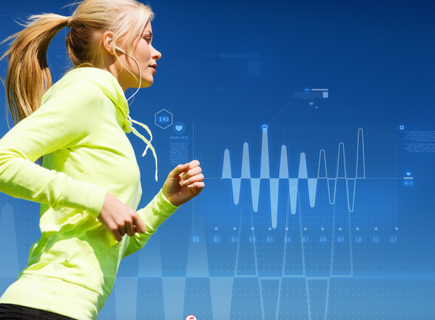 Today, athletes have more tools and training technology at their disposal than ever before. In many ways, these advancements in physical therapy are revolutionizing athletic training and rehabilitation as we know it. Advances in athletic training technology are enabling athletes to achieve new pinnacles—to push the boundaries of the human body. This starts, first and foremost, with clinical research about sports training and rehab. Clinicians and physical therapists are regularly gathering data to inform new and innovative approaches to training and PT. And they rely on new technology to do so. High-definition video recording – Think about all the times you’ve seen MLB, NBA, or NFL teams reviewing iPads on the sidelines during games. Thanks to the proliferation of smartphone devices, athletes, coaches, and trainers can now use video monitoring to inform improvements and make a suggestion. And they can access and update data in real-time. Runners can even use footage from previous games, matches, or performances to identify improvements in form. Individualized data tracking – These days, the Internet of Things is enabling the efficient capture and organization of immense amounts of data. We. Track. Everything. This can include performance KPIs, statistics, or biometric data from portable sensors. Using wireless technologies like Bluetooth, data from a sensor can be transmitted to a screen that cyclists, for example, can view to make adjustments mid-ride. Wearables – We’ve seen the training masks that some athletes wear to simulate altitude training. We’ve seen the knee and elbow sleeves that help with compression and stabilization. Today’s wearables, though, are more advanced; we have watches, headbands, and cardiac monitors that track biometric data precisely. These devices often work in tandem with a mobile app that tracks, organizes, and displays data in real time. Concerning rehabilitation, we have seen the rise of pneumatic recovery units and bionics, which help stabilize and assist injured patients exercise with lower reinjury risk. Our own AlterG Bionic Leg™ is a useful example. What Does This Mean for Rehabilitation? To be sure, traditional exercises, ice, and tape aren’t going anywhere anytime soon. But there’s no denying that technology in athletic training is enabling athletes to train smarter and harder. Just look at the records broken during the 2018 Winter Olympics alone. Compare record-holding race times for the mile, the marathon, and triathlon. The world’s best athletes are continually striving to push new limits. Perhaps most significantly, new athletic training technology makes possible more optimized training and rehabilitation programs. These are more effective, in less time, and with the potential for longer lasting results. Next week, we’ll talk about how AlterG technology, precisely, is helping to enable physical therapists and patients alike to be more effective, each and every session.